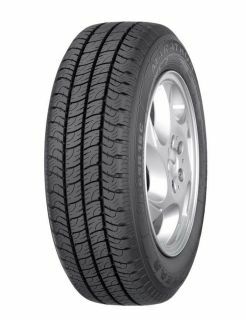 This tyre features a 4-rib tread pattern which spreads loads evenly. This improves traction and handling. Wide tread grooves shed water quickly when roads are wet which reduces the risk of aquaplaning. The tyre has been designed with a half-silica tread compound, which is optimised for good grip in wet weather. Blades within the tread help to maintain traction on slippery surfaces.